We spend many hours today packing for Utila. We had slowly piled wetsuits, fins, camera gear, clothes, toiletries and other stuff in the living room and today we pack it all into our carry-on bags and collect the missing items. Our packing list is check marked, highlighted and circled. 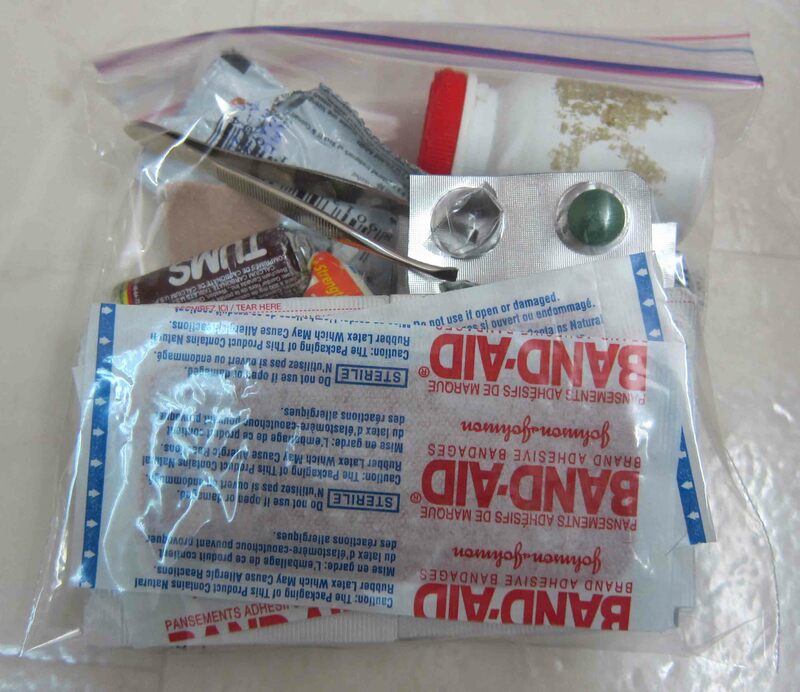 Except for the stuff we will use between now and when we leave, we are ready to go. YIPPEE! We agree that our bags look fuller than they usually do. Are we accumulating more and more stuff to take with us? We hope not. For this trip, we are traveling with a strobe flash and batteries, underwater camera housing and ancillary bits and pieces, snorkels (not usually taken) and towels. We don’t usually travel with towels on a dive trip as we find we do not use them, but I feel I should this time because I may need some padding on the dive boat. I wiped out skate skiing a few weeks ago and landed on my tailbone. OUCH! It still hurts when I sit in certain positions and dive boats are notoriously hard and the ride bumpy. Padding sounds like a good idea. I admit that I have a couple of extra shirts packed in my bag . We are meeting our friends from New York in Utila and my vanity is getting the best of me, so I have two extra “evening” tops with me. I still limit my clothes to 2 pairs of shorts, 1 dive boat shirt, 2 swimsuits, 4 shirts, 3 undies, sleeping shirt and the clothes I wear on the airplane. Still pretty lean. 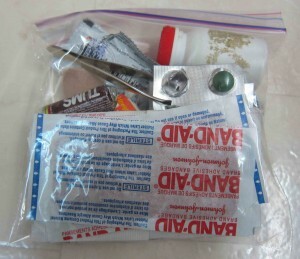 Mur and I decide that we need to take only a small first aid kit with us. Just the basic supplies to cover small abrasions, heat rash and colds. Here is a peak at what we are taking. It all fits comfortably into a sandwich size ziploc bag. I spend time getting the netbook ready to go. Copy flights, hotel and insurance info over from my desktop.We carry a paper copy of this info and it is also in my gmail account, but we carry a third “Word” copy too. Yeah, I know, overkill. For our reading pleasure on the flights, we will take the ereader and the netbook. I make sure the books we plan to read are on both units so we can trade back and forth. I also backup our desktop computers onto a flash drive so Murray can take it offsite. He will head downtown on Wednesday to do this and to buy a few bucks worth of Honduran Lempira. We feel like we are ready to go. A few last minute items to pack and to do and we will be off. 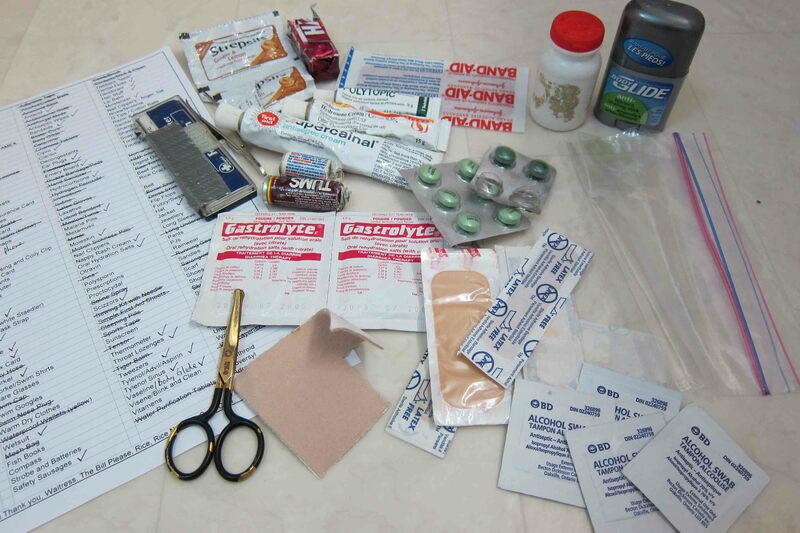 This entry was posted in Packing and tagged carry on luggage, packing lists, scuba diving andaman islands, scuba diving gear, travel planning, Utila, Honduras. Bookmark the permalink.